More than of 35 new retailers and restaurants opened this year, creating even more opportunities to feast, play and shop downtown. If you have ventured through downtown Portland lately, you've noticed it is beginning to look like a winter wonderland. That's right — the holiday season has officially begun in the Rose City! From festive lights and wonderful new retail offerings, to free parking on Sundays and holiday events, there is a lot of fun to be had in downtown during the holidays. Every year, Downtown Clean & Safe lights the night sky giving visitors a festive feel on more than 750 trees in the retail core. To give our downtown an extra holiday touch, it will be snowing all season long around Pioneer Courthouse thanks to a special installation of snowflake lighting on display at Yamhill and Morrison, between Fifth and Sixth avenues. More than of 35 new retailers and restaurants opened this year, creating even more opportunities to feast, play and shop downtown. From internationally beloved brands like ZARA in Pioneer Place and MUJI in the historic Meier & Frank building, to locally based favorites, shoppers will spot new additions alongside Portland standbys. Keep an eye out for exquisitely made men's work shirts at the now-permanent Grayers brick and mortar in the West End, and find tailored women's apparel and jewelry at new arrival IGWT. What's more, PDX Pop-Up Shops, which turn empty storefronts into temporary spaces for local designers, artisans and entrepreneurs, are back through Dec. 24. This year's shops include: City Pop, which features fun handcrafted items and vibrant art by local female artists; BlackSheepMade, the fiber brand that sells hand-knit scarves and pet beds as well as customized pieces you can co-design with designers at the shop; Cloth & Ore, which features jewelry, boho luxe apparel and handwoven home textiles from local designers; and the social enterprise-lifestyle brand combo dfrntpigeon, which offers apparel, prints and accessories designed by Portland's marginalized youth, with the support of nonprofit New Avenues for Youth. The gift that keeps on giving is back. Once again, shoppers can park for free in SmartPark garages all day on Sunday, Dec. 2, 9, 16 and 23. Between noon and 5 p.m., just show your SmartPark ticket at the PDX Pop-Up Shop in Pioneer Place or at Boys Fort's new location at 1001 SW Morrison to receive a $5 parking voucher to cover the cost of parking for the day. One of the best ways to feel the holiday spirit this season is to head to the heart of downtown for free family-friendly holiday events, activities, performances and Rose City traditions. If you couldn't make it to the 34th Annual Tree Lighting Ceremony last Friday, don't worry. There is still plenty of holiday fun to be had.
? This year, Santa is traveling from the North Pole to make several stops in downtown Portland. At Pioneer Place, Santa visits have already begun. Santa welcomes your pet each Monday until Dec. 17, 5 to 8 p.m. Santa dons his hipster threads on Thursdays and on Dec. 1 and 2. Santa also stops by Nordstrom from Nov. 30 to Dec. 2, Dec. 7 to 9, and Dec. 14 to 24.
? Make sure you join the Chabad of Oregon for the 35th year of the Chanukah Menorah Lighting at Director Park. Join the Festival of Lights celebration on the first night of Chanukah with music, traditional foods, children's crafts and a light of Portland's Public Menorah with dignitaries on Sunday, Dec. 2 from 4-6 p.m. Menorah Lightings occur each night through Sunday, Dec. 9. From Sunday through Thursday, lightings are held at 5:30 p.m. On Friday, Dec. 7, the lighting occurs at 3 p.m. and on Saturday, Dec. 8, the lighting occurs at 6 p.m.
? The Great Figgy Pudding Caroling Competition, presented by Portland Mall Management, Inc., is a fun and festive event that brings caroling groups of all ages to Portland's Living Room — Pioneer Courthouse Square — on Friday, Dec. 7 from 5:30-7:30 p.m. Prizes are awarded to the top caroling groups along with a grand prize of $1,000. 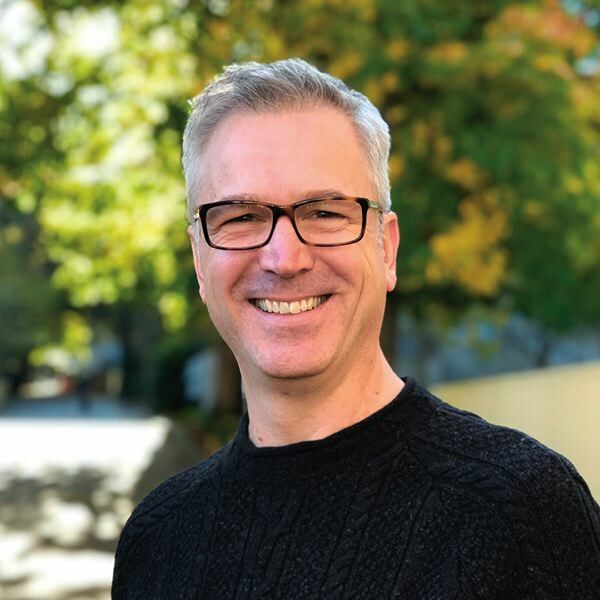 Eric Murfitt is chair of the Downtown Clean & Safe board of directors and controller of Mercantile Portland, a local boutique located in the heart of downtown Portland. To learn about the important work Clean & Safe does, visit cleanandsafepdx.com.